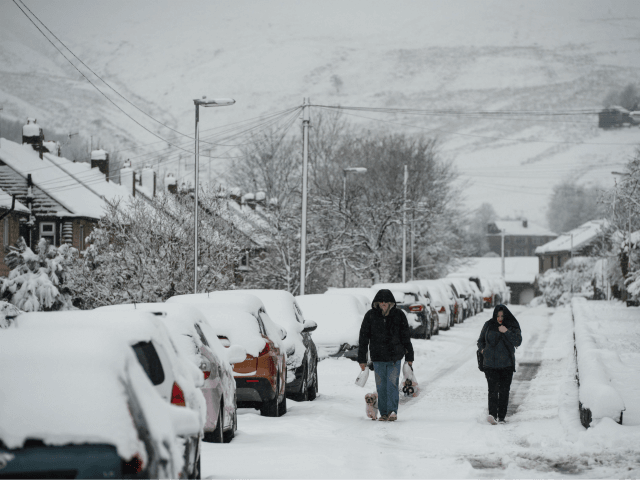 Britain has just suffered its worst winter death toll in 42 years. It is estimated that 20,275 Brits more than average died between December and March. According to the Office of National Statistics, one in 10 cold weather deaths are among under-65s, one in 10 among 65-75s and eight in 10 among over-75s. The Department of Health also said cold conditions worsen winter killers including flu, chest diseases, heart attacks, strokes and dementia. It means this winter is set to total at least 48,000 deaths due to cold weather – which works out at an average of one death every three and a half minutes. But what’s more shocking still is that the UK government – claiming to be Conservative, last time I looked – is actually boasting about the disastrous policy which helped kill them. Here is what Energy Minister Claire Perry had to say on the tenth anniversary of the 2008 Climate Change Act – the most ruinous and pointless piece of legislation in recent British parliamentary history – which is largely responsible for making energy so expensive that the poor and vulnerable cannot afford to heat their homes. 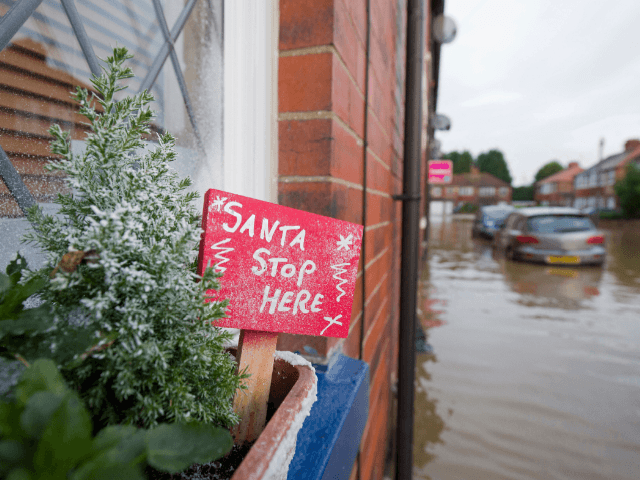 Northern Britain has spent Christmas being inundated with floods of “biblical proportions”. For green activists like Bill McKibben this is obviously another consequence of man-made climate change. And the politicians agree – not just left wing ones like Hilary Benn but also notionally conservative ones like local MP Rory Stewart, Environment Secretary Liz Truss and Prime Minister David Cameron. All have suggested that the floods are the result of unprecedented ‘extreme weather events’ whose consequences are quite beyond their control. Either they are ignorant or lying or buck-passing – or all three. 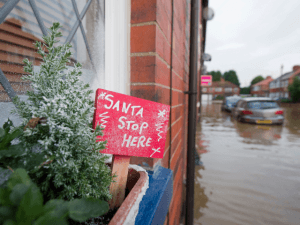 As it was in Somerset in early 2014, so it is with the floods which have ravaged the north of England (and which are fast spreading south) this year. 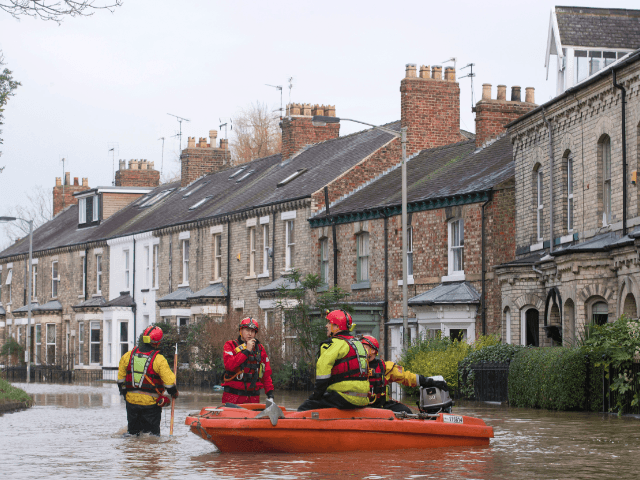 Yes, they are indeed a man-made creation – but the people mainly responsible are the bureaucrats and green activists at the European Union whose legislation has made it illegal for Britain to take the measures necessary to reduce the risk of flooding. But traditionally, those living in flood-threatened areas have been able to mitigate the problem by making sure that their rivers are well dredged – and thus able to flow freely. Britain is enjoying a spectacular heatwave and I don’t know about the rest of you but I have been enjoying it immensely. But enough summer sunshine fun. It seems that not everyone feels quite as enthusiastic about this glorious mid-90s heat as I do. This young fellow on Twitter for example who thought it would be a good idea to send me this tweet. I wonder if Ollie is being sarcastic. Second, because he sweetly included a link to the Guardian which I might otherwise have missed. It seems that the Guardian has been live-blogging this marvellous sunny day we’ve been having, providing regular updates, in much the same way newspapers more normally do when covering say a breaking story about some hideous terrorist atrocity or some terrible natural disaster. Here, so you can enjoy it yourself, is the link. It includes invaluable tips on how to cope if you’re fasting for Ramadan (as so many of Guardian’s white liberal metropolitan readers are, right now, of course): break it and seek medical attention if you’re seriously ill, advises Shakyh Abdul Hussain of the East London Mosque – though presumably other clerics would disagree strongly with this dangerous liberalism. Soaking up the rays on a bench on Gordon promenade, Veronica Josh, 70, and her friend Jean Reay, 71, say they took no notice of the health warnings urging people to stay indoors between 11am and 4pm. Who says the spirit of punk is dead, eh? Meanwhile the UN is seizing the opportunity to advance its nannyish, finger-wagging agenda. The United Nations has urged countries to create better warning systems as a heatwave sweeping western Europe saw temperatures reach 40C. People with lung problems are basically as good as dead. Vicky Barber from the British Lung Foundation Helpline said sufferers should avoid going out in the midday heat. “During hot weather, the air we breathe has lower moisture levels than usual, which can have a drying effect on our airways,” she said. Superdrug has seen sales of suncare rise by 26% (compared to this time last year) and is predicting sales to rise by an additional 20% this week. The drugstore’s own brand Solait SPF50 suncream is the best seller, with the retailer announcing that it is selling a bottle every 30 seconds. And it’s the hottest July day on record. (Well, at least if you count one data set from one weather station as being symbolic of EVERYTHING). Just like that, the temperature has soared at Heathrow to make this the hottest day in July since records began. That’s 0.2C higher than 2006’s record. All of this makes me feel very ancient. I’m old enough to remember a time when sunny days were something to celebrate, not panic about or – as young Ollie seems to imagine – to cite doomily as yet further depressing evidence of man’s refusal to change his selfish carbon-guzzling lifestyle. Is it just me? Or am I in fact the only surviving refugee from the Summer of ’76 who can remember headlines like “Phew! What a Scorcher!”? merrymaking says:3rd July 2015 at 2:02 pmWhen these people talk of “carbon” what, exactly do they mean? C – Carbon – diamonds are made from this ! They throw around how we must reduce our “carbon” but I don’t think they know what they are talking about. I read that there are 85,000 units of CO2 in the atmosphere and only ONE of those is from humans that is some hefty fight for us all ! !